by Anita Fernandes, a journalist and writer by profession. Lupus erythematosus is caused by a hyperactive immune system which attacks healthy tissues in the body. There are several types of lupus but systemic lupus erythematosus (SLE) accounts for about 70% of all cases. In cases of systemic lupus, the immune system attacks different body system which results in joint, chest and abdominal pain. There is no cure for lupus which means that people with this condition require long-term medication to control their symptoms. The focus of lupus treatment plans is often on the physical symptoms but lupus can also have a severe impact on mental health. Lupus patients often experience a broad range of neuropsychiatric symptoms including anxiety, depression, seizures, and psychosis. It is important to understand how lupus can affect your mental and emotional state so that you can take steps to protect your mental health. Lupus causes the immune system to attack the body’s tissues and organs. This results in the release of proteins called cytokines which trigger additional immune activity. Earlier, it was believed that these cytokines could not reach the brain but recent animal tests show that they can get into the brain and damage neural synapses. Damage to neural synapses can impact every aspect of what we think and feel in everyday life. This is why people who suffer from lupus are at an increased risk of cognitive decline and anxiety. The good news is that researchers say that these lupus symptoms can be reduced with medication (called an anti-IFNAR) that prevents these cytokines from entering the brain. Lupus causes systemic inflammation and when it affects the brain it can lead to seizures, stroke or psychosis. Psychosis is the disruption in an individual’s perceptions and thoughts which result in a loss of contact with reality. Delusions and hallucinations are a common problem for these people which makes it difficult for them to differentiate between what is real and what isn’t. Psychosis is one of the criteria used by doctors for the diagnosis of lupus. Studies show that approximately 22% of all lupus patients will experience psychosis at some point. Psychosis in lupus patients can also occur as a side effect to steroid medications such as prednisone and prednisolone. Chronic pain is one of the most common symptoms of lupus as over 75% of lupus patients suffer from chronic joint, abdominal or chest pain. In recent years, researchers discovered that chronic pain can induce depression – up to 85% of patients with chronic pain also suffer from severe depression. Living with the daily pain and fatigue caused by lupus results in a constant state of stress and depression. In addition to prescribing antidepressant medication, your doctor may also suggest lifestyle changes and refer you to a psychiatrist or psychologist to help you cope with these issues. Studies show that 66% of people with lupus will develop some form of skin disease. One of the most common skin problems associated with lupus is a malar rash which is a butterfly-shaped rash across the cheeks and the bridge of the nose. People with lupus may also suffer from a scaly purple rash or flaky red spots which often appear on areas of skin that are exposed to the sun. These outward effects of lupus can have a severe impact on the individual’s self-esteem and lead to social anxiety. Mild skin rashes can be treated with topical steroid gels but severe rashes require topical immunomodulators which can reduce the butterfly rash as well as any lesions. Steroid medications such as corticosteroids are commonly prescribed for people with lupus as they help to reduce immune response and inflammation. However, these medications can cause side effects such as acne, weight gain, redistribution of fat (which leads to a swollen face and abdomen), increased facial hair growth and easy bruising. Furthermore, many of these medications also cause psychological problems such as mood swings, agitation, and irritability. Due to these side effects, a person with lupus will often avoid meeting friends and family and choose to live in social isolation. Lupus often results in a decreased range of motion of both small and large joints and can restrict normal mobility. This can make it difficult or even impossible for you to take part in sports and other activities and hobbies. People who are used to a more active lifestyle often feel a deep sense of loss for the life they have to give up which can lead to grief and depression. Doctors urge lupus patients to find indoor hobbies that do not require a lot of energy or dexterity as these activities can bring them a sense of fulfillment. The treatment for lupus differs from one patient to the next, depending on which areas of the body are affected. Furthermore, lupus symptoms often flare up and subside which is why you may need to frequently change your medications and dosages. Talk to your doctor and learn everything you can about lupus so that you can understand the benefits and risks of your treatment plan. 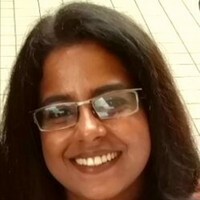 Authors Bio: Anita Fernandes is a journalist and a writer by profession. She has been writing extensively on health and wellness related topics for a little over a decade now. Besides her professional interests, she loves a game of basketball or a good hike in her free time to fuel her spirits. “Health is wealth” is one motto of life which she lives by as well as advocates to every reader, who comes across her blogs. Learn about Rheumatologists: Diseases They Treat and When to see one?